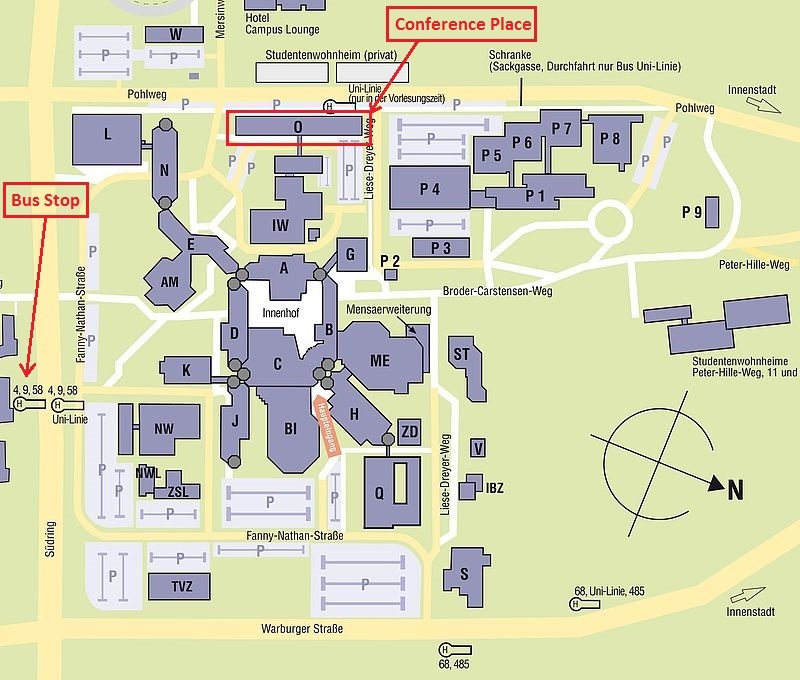 The above address should be recognized by your navigation system, which will lead you directly in front of the conference venue. The most convenient connection is to take a flight directly to Paderborn/Lippstadt Airport (IATA code: PAD). The airport provides multiple connections per day to Munich and further to the US and to Asia. Alternatively, you may choose Düsseldorf (IATA code: DUS) or Hannover (IATA code: HAJ) as your final destination. Both airports provide direct train connections to Paderborn directly from the terminal building. 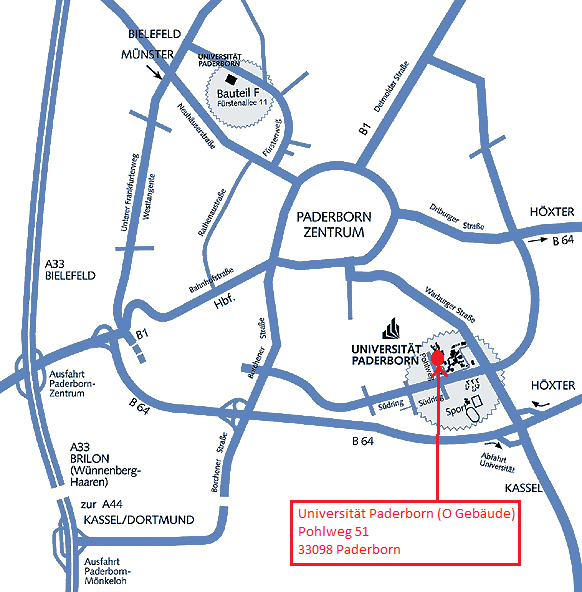 From Paderborn/Lippstadt airport take a taxi (total journey time 25 minutes, approx. 35 Euro) or take bus No. S60 or 460 bus towards Paderborn main railway station (Hauptbahnhof). Paderborn is well connected to the German train network and has multiple connections per day to all major German cities. The website of Deutsche Bahn provides a convenient search widget for train connections. From A33, take exit Paderborn-Zentrum to merge onto B64 toward Paderborn-Zentrum/Höxter/Bad Driburg. Use the right lane to take the B64 ramp to Höxter/Bad Driburg/Warburg. After 4 km, use the right lane to take the B68 ramp to Warburg/Paderborn-Süd/Universität. Take the second left and then first right to reach there.